Braces/suspenders are designed to keep your trousers up. So there’s one golden rule you should never break – don’t wear your braces/suspenders with a belt! First, attach the rear strap to the middle of your trousers, then clip them to the front, around 10 cm either side of the centre. For maximum comfort, pull your trousers up or down to the desired height then adjust the straps, taking care not to leave them too loose or pull them too tight. 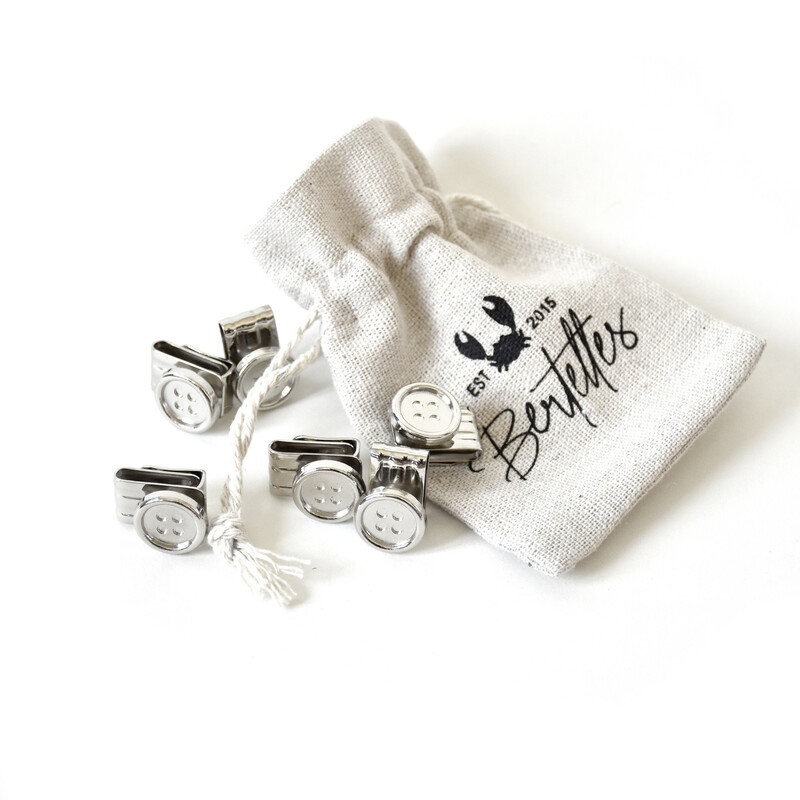 Our Superior range comes with an optional leather tab to attach your Bertelles braces/suspenders to buttons. Again, there’s no hard-and-fast rule about whether the buttons should be on the inside or outside of your trousers. Consistency is the key! So make sure all the buttons are sewn EITHER on the inside OR on the outside. If your trousers don’t have any buttons, the handy diagram below shows you where to place them.